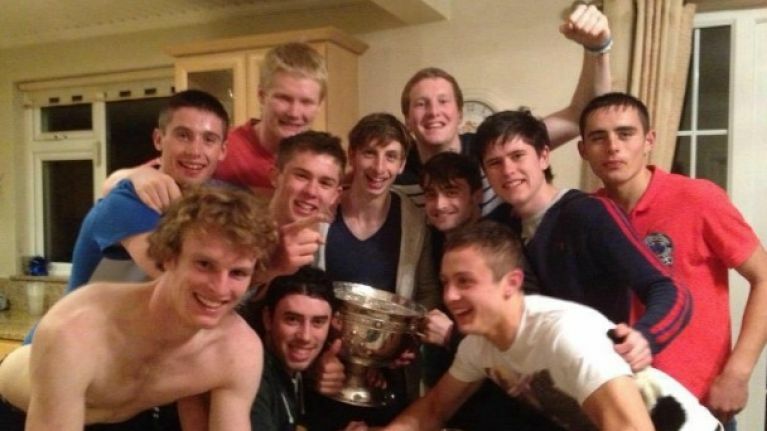 The Dublin minors secured their All-Ireland Championship on Monday and had a magical night on the piss with Mr Harry Potter, Daniel Radcliffe. The Dubs captured their first minor title since 1984 on Sunday beating neighbours Meath by 14 points to 1-5 in Croker. Their curse must have been broken somehow and the reason became apparent on Twitter tonight, as pictures of actor Daniel Radcliffe, who played boy wizard Harry Potter in the Hollywood blockbusters, emerged. 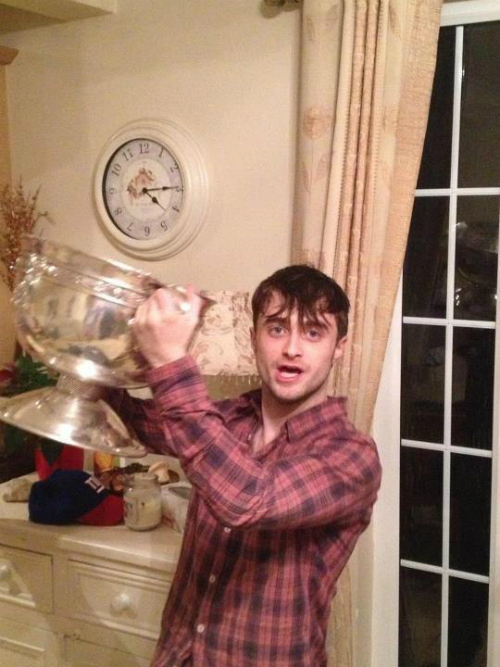 The pictures show Radcliffe partying with the victorious Dublin minors and the All-Ireland minor trophy in a house party afterwards presumably. We’re not sure if Quidditch would have qualified as a foreign sport back in the day, but at least the GAA house parties were open to Mr. Potter on Sunday. Okay we’ll admit that joke was a bit nerdy… but the lads and Radcliffe look to have had a good time on Sunday anyway. 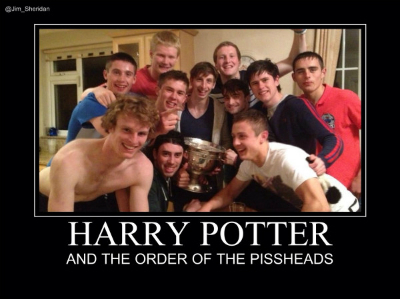 The Dublin minors secured their All-Ireland Championship on Monday and had a magical night on the piss with Mr. Harry Potter, Daniel Radcliffe. Donegal may have had "Wee" Daniel on hand to celebrate their senior win, but the Dubs had a pretty cool international celeb to celebrate their own win in the curtain-raiser on Sunday at Croker. The Dubs captured their first minor title since 1984 on Sunday beating neighbours Meath by 14 points to 1-5. Their minor curse must have been broken somehow and the reason became apparent on Twitter tonight, as pictures of actor Daniel Radcliffe, who played boy wizard Harry Potter in the Hollywood blockbusters, emerged. Okay we’ll admit that joke was a bit lame… but the lads and Radcliffe look to have had a good time on Monday anyway.